The decisions we make based on our first impression or first look at someone, a situation, or a problem we are faced with can dictate which path we take next. This may not always be the best course of action to take. In this post I am going to introduce you to a scenario that can easily get you making the incorrect assumptions……. For those of you who have read some of my previous articles, you will know that I predominantly write on..
After a 3 year gap between coming across to Summit i forgot about just how good it is to be.. The process to upgrade your DNN website may not seem obvious so this post takes you through the steps to follow to upgrade your existing DNN website to version 7.03.04. Review your current settings first and confirm the upgrade supportability before undertaking your upgrade. The SQLSaturday show is coming to Brisbane again in 2015. Put a reminder in your calendar now for Saturday 28th March, 2015 for your free day of SQL Server and Business Intelligence (BI) training from some of Australia’s leading SQL Server experts. Clustering can be confusing and for some it may look like smoke and mirrors with how it all work’s and hangs together. I recently was putting together a demo environment with a 2 node Windows Server Failover Cluster (WSFC). During the build of the cluster it seemed to all go well except on looking more closely, Node 2 in the cluster was being reported as offline by the Failover Cluster Manager. Node 2 was up and available and I could ping the server but it was having issues communicating with Node 1 through the Cluster. SQL Saturday #365 in Melbourne on February 7th, 2015 has included 3 Pre-Con events running on Friday 6th February, 2015. I will be joining Paul Schmidt (@VarigenceANZ), Peter Avenant (@BimlDownunder) and Reeves Smith (@SQLReeves) to bring you the first SQLSaturday Pre-Con in Australia for our BIML Bootcamp. This morning like so many other SQL Server community members around the world I received an email from Microsoft congratulating me on being award the Microsoft MVP Award – SQL Server for 2014. This is my first time being awarded this honor and I am humbled to be a recipient of this award. For my fellow first time award recipients I congratulate you all for the hard and tireless work you have been undertaking in the SQL Server community. Aside from myself and my fellow first-timers a big congratulations must also go out to the many more who received this award again. This is testament to the fact that there are so many people who are willing to provide to the SQL Server community to make it better for everyone. Well SQLSaturday is on again in Sydney with SQLSaturday #352 being held on Saturday 25th October, 2014 at the University of Sydney. 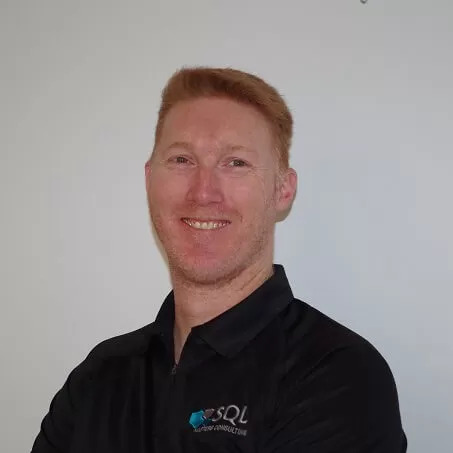 SQLSaturday provides a day of free SQL & BI training from some of Australia’s SQL Server Community enthusiasts.